Scottish Craft beer maker Innis & Gunn is showcasing a virtual reality experience paired with dining in London throughout September. 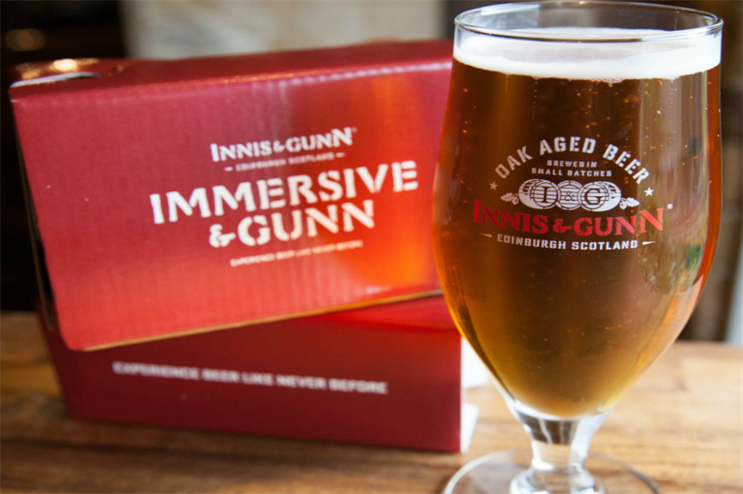 The two VR experiences, dubbed 'Immersive & Gunn' are designed to transport customers to a new world that heightens the senses, taking them to Scottish landscapes that serve as inspiration for two Innis & Gunn beers - Original and Lager. The experiences originally launched last month at participating bars in Edinburgh, Dundee and Glasgow and also took place at the Brew House and Kitchen in Islington, London. It is launching today (13 September) at Ikigai bar in London, with dates throughout September at the venue. Innis & Gunn has collaborated with cognitive neuroscientist, Dr. Jacob Jolij, an expert on how people's brains create experiences. To take this another step further, Ikigai's Michelin-trained chefs have designed a paired bar menu for both beers, taking place at the London venue throughout September. Dishes will include pressed pork belly and nashi with Original, and chili lime calamari with Lager. Alternatively, guests can opt for vegetarian Korean pancakes with mandu sauce.